Europe’s Growing Immigration Challenge (13/5/2014), Miscellaneous comment of 31 Jan 2014, Citizenship a privilege, not a right, in the UK? See also: New Zealand Migration soars 40% - and a back door to Australia, Australia's migrant population has exceeded six million people, Mt Cotton koalas doomed by demand for building supplies. This article was originally published on Russia Today 16 August 2013 with the disclaimer, "The statements, views and opinions expressed in this column are solely those of the author and do not necessarily represent those of RT." Whilst on-line news services such as Russia Today Press TV are good sources from which to learn the truth, particularly about the conflict in Syria, which is contrary to what we are fed from the mainstream news media (msm), they unfortunately mirror the msm's political correctness in regard to immigrants and claimed asylum seekers. A substantial number of articles from such news services have reported on the plight of prospective immigrants attempting to enter countries such as Canada, the United States, Europe and Australia, without regard to the already dire economic circumstance of many native inhabitants of those countries, which can only be made worse by the arrival of more immigrants also seeking shelter in a tight housing market and employment where unemployment is already high. This article by Tony Gosling is a welcome change from Russia Today's usual political correctness on the immigration question. A similar viewpoint was recently put by Australian Labor Party MP Kelvin Thomson at the inaugural meeting of Victoria First on 1 December 2013. 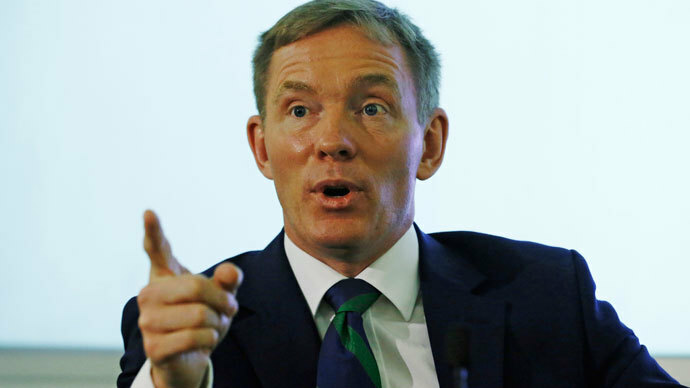 Britain's shadow minister for borders and immigration, Labour's Chris Bryant, promised to take on the big corporations this week. But as his embargoed speech was leaked to big business, the nation watched his political resolve melt into nothing. Friends and corporate funders of the ruling Conservative-led coalition have been sacking thousands of workers. They then market those same jobs to cheaper foreign workers, bringing misery to Labour's traditional working-class supporters. Frequently those jobs are not even advertised in the UK. Former employees have to re-apply for their old jobs so long as they're prepared to accept worse pay and conditions. Standing nervously behind the workers directly hit by this practice are millions of other apprehensive wage earners. They can see how this further corrodes what has become an increasingly brutal job market. It is the dedication of staff, not just how much they're paid, that determines how good a service the public receives. Staff who know they can be sacked at the drop of a hat do what they are told by their managers out of fear, rather than respect. Before long that culture of fear impacts on everything a business touches. From the voice on the phone, through quality control, to the customer facing staff, as the company's commitment to the employee goes down, so the glue that holds the business together starts to come unstuck. The figures, of course, look good on paper. Boardroom presentations with those efficiency graphs zigzagging gradually up accompanied by photographs of smiling staff in neatly-pressed uniforms. But as well-paid lobbyists for these multinationals successfully demand the erosion of employment rights, trust in these cost-cutting companies is undermined. Trust doesn't figure on the balance sheet, but it's the only truly important quality a company has (or doesn't have). 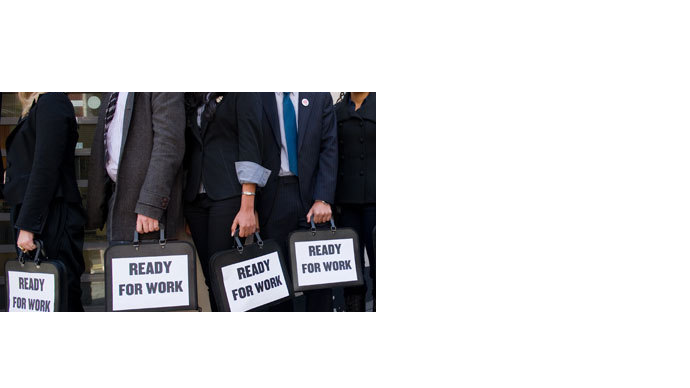 This is one of the chief reasons why recruitment agency Office Angels found last week that over half of Britons in work want out of their present job, for the first time in decades. Off the balance sheet again: an unhappy company is a bad company. Practices like these are turning the UK into a "conscript economy". Thirty years of retreat from Labour's 1970s policy of full employment has tipped the balance between employer and employee off the scales, until the employer holds all the cards. Yet, despite the slump, there seems no let-up in the flood of economic migrants moving to Britain. Last week's net migration figures show that in the year to June 2012, 165,000 people, or nearly 500 a day, moved to the UK. On New Year's Day 2014, Bulgarians and Romanians too are about to be allowed to work in the UK — boosting the net figure to over 200,000. This influx is doubly bad, cutting both ways into UK disposable incomes. It helps keep house prices artificially high, and wages artificially low. So Labour has realized that not all critics of immigration are racists and, we are told, is seeing the error of its ways. Party chiefs, for the first time, have been weighing the rights of the British worker who loses their job against the right of the migrant to work anywhere in the EU. Weighing up, too, the good work an immigrant worker might do, against the cost to the British taxpayer of yet another British family on the dole. So, for Britain's opposition party, standing up for dwindling employment rights should have been an open goal. Yes, migrant labor is justified and welcome when a country has full employment but with, for millions, wages not enough to live on and real unemployment hovering around 10 percent, to low-paid workers bringing in migrant labor just drives them further into poverty. So Labour's Chris Bryant was going to weigh in this week to explain that Her Majesty's Opposition now thought it was wrong. A plea both to the origins of the Labour Party, standing up for the victims of cruel and greedy bosses... and to pragmatism. That it wasn't racist to discourage economic migration. "Take the case of Tesco, who recently decided to move their distribution centre...." he was due to say, "...staff at the original site, most of them British, were told that they could only move to the new centre if they took a cut in pay. The result? A large percentage of the staff at the new centre are from the Eastern bloc." "Take Tesco. A good employer and an important source of jobs in Britain... 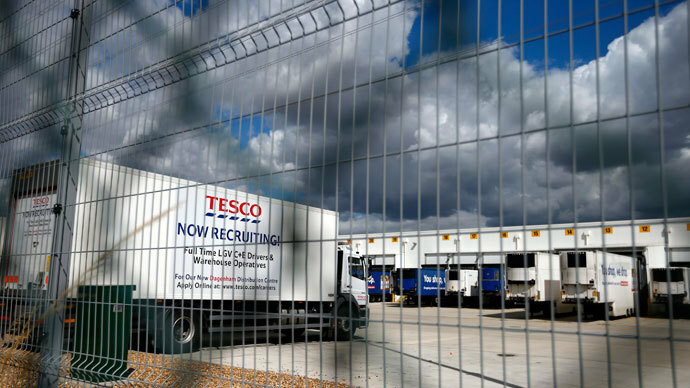 Yet when a distribution centre was moved to a new location existing staff said they would have lost out by transferring and the result was a higher proportion of staff from A8 countries... Tesco are clear they have tried to recruit locally." Rarely do we get the opportunity to see so transparently how meek our politicians have become in the face of corporate lobbying. Tory Tesco effectively rewriting the speech of an opposition politician, no doubt with strong-arming from Labour Party apparatchiks, too. Bryant's key allegation about the cut in pay disappeared. 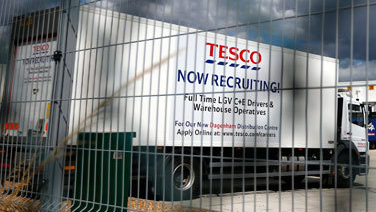 Instead, Tesco is "a good employer" that has "tried to recruit locally." Dead on the cutting-room floor, too, is another fact that many low-paid UK jobs are not even advertised in Britain any more. To the tune most of us know as "Oh, Christmas Tree" or "Tannenbaum," Labour Party activists used to traditionally sing "Let's Keep the Red Flag Flying Here" on May Day, which called for a worldwide, worker-managed utopia with no borders. But when the Labour Party is no longer allowed to criticize practices that take food out of children's mouths, throw hard-working people out of a job, and possibly onto the streets, that party may as well pack its bags. If the present leadership is not purged, Labour may go the whole hog and, as in Greece, show its true blue colors by going into a formal coalition with the big corporations. The author Tony Gosling began his working life in the aviation industry and was trained by the BBC. He is a British land rights activist, historian & investigative radio journalist. In countries with Napoleonic codes, your government owes you the opportunity to work or must pay you unemployment benefits. It also owes you housing. In Britain, Australia and the United States, citizens do not have these rights and we see how corporations take advantage of them. It is obvious that the ruling elites in Britain are simply replacing the existing population for their own purposes. They show no care or loyalty for the people to whom they owe their own positions. And the British are too disorganised to revolt successfully. Mr Cameron has used a new bill to set out provisions making it harder for illegal entrants to remain undetected. Landlords, NHS workers and banks will have to check the immigration status of tenants, patients and customers. A UNHCR briefing note sent to MPs that Mr Guterres feared that legal asylum seekers and refugees would be penalised by the proposed restrictions as public sector employees and landlords struggle to work out their status. The UN also called on the international community to offer not only humanitarian aid for refugees, but also resettlement opportunities outside the country, and Labour is urging the Government to accept 400-500 Syrians, including torture victims (the clams are almost certainly fabricated, see sana.sy/index_eng.html, syrianews.cc - Ed), women and girls at high risk and people with family links to the UK. Economic overshoot and scarcity of jobs is a population problem, along with conflicts for limited resources. Spreading the displaced in developed countries is an open-border concept, one that means migrants will take advantage of welfare and economic developments paid for by residents. Genuine refugees should be the priority, not migrants wanting a "better life". The English are already living in one of the most densely populated nations on Earth. Prime Minister David Cameron wants to get UK net migration below 100,000 before the 2015 election. United Nations should focus on key issues such as Syrian refugees rather than "interfering" in British policy, senior MPs warn. A Bill has been brought in following concerns about a surge in economic migrants from Romania and Bulgaria when transitional controls over their movement are lifted on January 1. [...] 77 percent of Britons want reductions in the number of new arrivals to their country, according to the findings of a new public opinion poll. On Tuesday, five men were sentenced to life in prison for plotting to use a huge fertiliser bomb in what would have been the UK's largest mass murder. Omar Khyam, Waheed Mahmood, Salahuddin Amin, Anthony Garcia and Jawad Akbar - first and second generation immigrants - responded to the tolerance of the British people by trying to kill as many of them as possible. At present, Muslims make up about 5 percent of the population of the UK. However, even the most conservative demographic projections acknowledge that the Muslim population of the UK will increase from approximately 2?7 million (almost 5 percent of the population in 2011) to 5.5 million in 2030, making Muslims 8.2 percent of the UK population. With native birth-rates below replacement levels, relatively high Muslim birth-rates could mean that Birmingham, for example, would become a Muslim majority city by the year 2030. Changing demographic in the UK is an attack on cultural values, traditions and democratic rights to determine their country's identity. The tide against immigration is that "diversity"' will threaten their values such as freedom of thought and speech and the spirit of intellectual inquiry that made European civilisation great and prosperous. The danger of ending up like those poor, despotic and medieval Islamic states in which millions live miserably is a prospect that Christians, Hindus, moderate Muslims and non-believers should be uniting to prevent. There's no mass emigration to balance the immigration overload, and non-muslims are not welcome as residents. Muslims in the UK are on average less educated than non-Muslims, with a lower household income, and with more than a double probability to be unemployed. Muslims also live in more ethnically-segregated areas, which have higher unemployment rates. 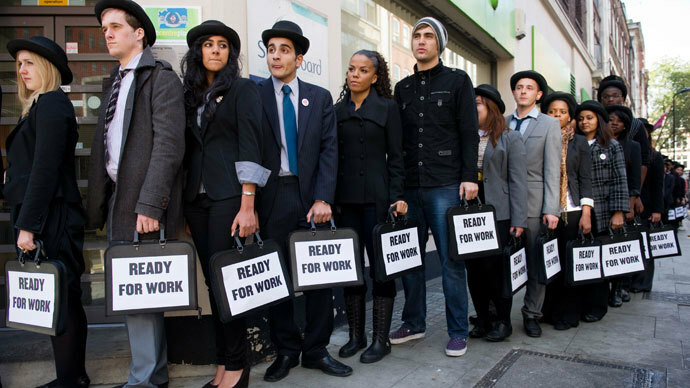 Prime Minister David Cameron promised in the run-up to the 2010 election to cut net migration to the "tens of thousands" by 2015, down from the 200,000 a year expected under current trends. You can't control free movement in the EU, but in December the government brought in a 3 months restriction on welfare benefits. 2. taking away its citizens' political rights. Whilst it can't be precluded that a deluded fool may one day imagine that killing defenceless British citizens may help his people, nearly every act of terrorism carried out in recent years on UK or US soil has been carried out by agencies of the US government or this UK government. This includes the 7/7 London Tube bombing and 9/11 terrorist attacks in the United States. Another country, which has suffered for nearly 3 years now, from precisely the kind of terrorism that UK government agencies claim the Islamist extremists want to inflict on the UK, is Syria. Since March 2011, over 100,000 Syrian citizens (130,000 by one estimate) have been killed by Islamist extremists acting, not against the governments of the US and the UK, but for them.